As summer begins, many visitors are heading to Austin with their prospective college students for college orientation, college tours and summer camps. And while the students are busy with all of their scheduled activities, there will be plenty of time for parents to explore all that Austin has to offer. From the renowned live music and nightlife to the eclectic shops and restaurants, Austin is overflowing with activities and entertainment for everyone in the family. Although the students will probably be chowing down on fine cafeteria dining, there is no need for parents to suffer alongside them! Make the most of your trip by getting out and exploring the different university areas this summer. The first thing that parents and new students should know about Austin&apos;s college-scene is the local lingo. When I attended freshman orientation, I was a little overwhelmed by all the acronyms that other students and locals were tossing around. So, a little vocabulary lesson is in order! ACL: This refers to the annual music festival Austin City Limits. Although people around the country are familiar with spring&apos;s South by Southwest Festival (often shortened to "South-by"), ACL focuses solely on the music, bringing in huge acts like Lorde, Eminem and Foster the People, as well as a long list of local and up-and-coming performers. This festival takes place for two weekends in October and is a favorite for students and locals. It may also refer to the fantastic TV series and venue. SoCo: This acronym is short for South Congress, the iconic entertainment and shopping district just south of Lady Bird Lake (sometimes referred to as Town Lake) and down the road from St. Edward&apos;s University. Unique shops like Lucy in Disguise with Diamonds are situated among iconic venues and restaurants like the Continental Club and Home Slice Pizza. Stop by for some unique shopping and Austin-only sights. The Drag: The Drag is a timeworn term that refers to the area of Guadalupe Street (pronounced "Gwad-a-loop") that is just across from the University of Texas campus, and stretches from MLK Blvd. to about 27th Street. The Drag is an ideal stop for students and university visitors; restaurants, bars and shops line the street. Stop at Caffé Medici for coffee, Tyler&apos;s for an iconic Austin T-shirt, The Local for a fresh Austin brew and Kerbey Lane for the best late-night pancakes in town. West Campus: Using the UT tower as a compass, look directly south for a view of the Texas State Capitol and west to an area known as West Campus. This neighborhood is home to much of UT&apos;s student population (the largest in the state). These apartments and homes are located near plenty of dining options for students and visitors. On 29th Street, Texas French Bread serves up classy French-inspired breakfast, lunch, dinner and even weekend brunch. For a true Tex-Mex experience, check out El Patio on Guadalupe. The restaurant has been in the same location since opening in 1954 and I can personally vouch for the tasty margaritas and enchiladas. East Sixth: Not far from Huston-Tillotson University, East Sixth refers to a growing and hip region of town just a hop over Interstate-35 from downtown. Growing in popularity, you&apos;ll see a variety of live music shows and food truck offerings at Volstead Lounge, Shangri-La, Liberty Tavern, The White Horse and more. Roads: Every road in Austin has many names, so be sure to learn your directions before getting lost. MOPAC/Highway 1/Loop 1 runs north to south. I-35 runs parallel, but on the east side. 2222 is also Koenig (pronounced kay-nig), 360 has a north and south entry, there are three parts to Sixth Street and if you&apos;ve hit Manchaca (pronounced Man-chack) you are in South Austin. You&apos;ll get the hang of it, I promise! 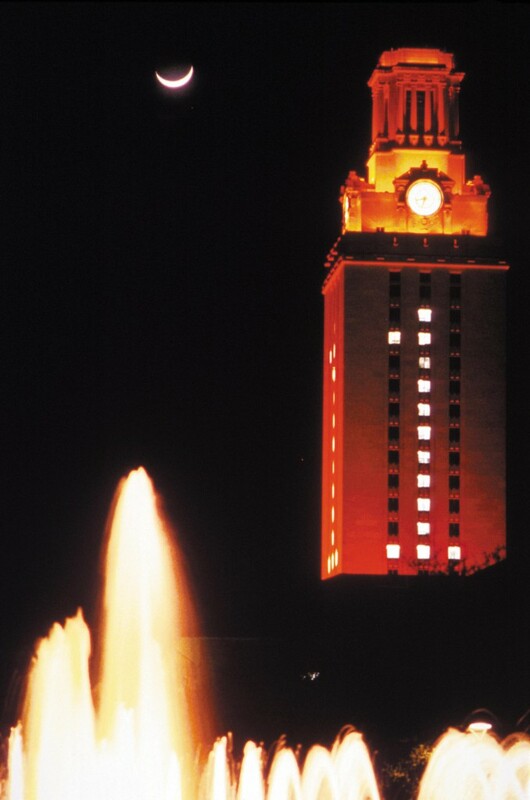 Have any other tips to help incoming students (and parents) out during their trip in Austin? Let us know @VisitAustinTX or in the comments below!